We like to joke that catnip is like drugs for cats — but it turns out there’s definitely some psychotropic science going on when your feline gets into the catnip zone. But what does catnip do to cats? 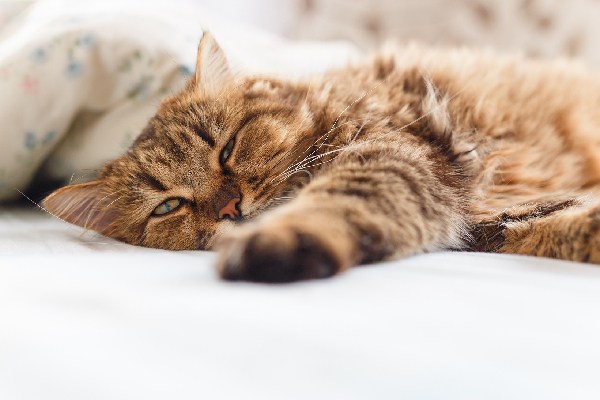 Check out this breakdown of what’s going on when your cat does catnip. Has this funny-looking kitty just had some catnip? Photography by fotostok_pdv/Thinkstock. What does catnip do to cats? Well, according to science buffs, cats react to catnip after a volatile oil in it called nepetalactone interacts with the nasal tissue. Yep, they’re pretty much sniffing up the ‘nip. Once the catnip has been engaged, it starts to replicate pheromones that in turn switch on feline receptors and make all sorts of neuron lightbulbs pop off in the cat’s brain. Looking for a less scientific answer to the question, “What does catnip do to cats?” Apparently, catnip produces a similar reaction to dabbling with LSD or marijuana (although let’s assume that no cats were actually subjected to such drugs in the name of catnip research). Oh, and the catnip high usually lasts for little more than 10 minutes, after which all order and decorum is resumed for another half an hour, before a cat’s catnip sensors are reset. So, what does catnip do to cats if they eat it? If your kitty decides to smush her face in the catnip and scarf it down, there’s a strong chance she’ll slip into a sedated state of bliss. Yep, at this point your feline is zoned out and no doubt hallucinating waterfalls of gravy cascading down walls that are now made of infinite cardboard. For proof, the video above captures seven — count ‘em — totally blitzed cats. And what does catnip do to cats if they choose to sniff it? If your feline is the sophisticated sort who only smells catnip, that’s when she’ll really go all types of crazy. You’ve seen the moves before: It’s when she rolls around frenetically on her back as if she’s no longer in control of her physical faculties. Nearby collateral damage — say to a box of toys — might also ensue. 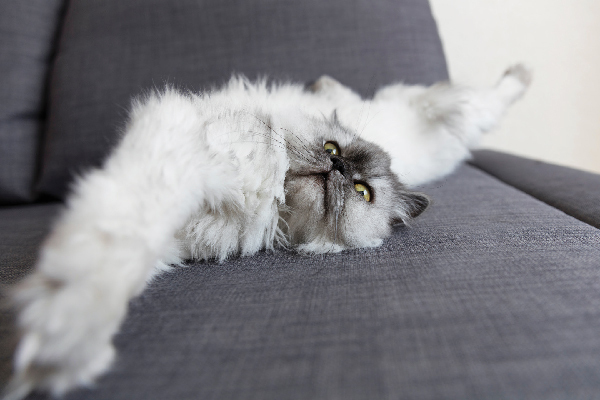 Why Do Cats Rub Themselves on Catnip? What does catnip do to cats when they roll around in it? Ever wondered why your cat decides to rub her body and face all over the catnip leaves rather than smell or ingest them? Well, that’s because she’s attempting to bruise the leaves so that more of that addictive nepetalactone manna gets released. It’s a bit like massaging kale leaves with olive oil when you’re making a salad. But what does catnip do to cats physically? 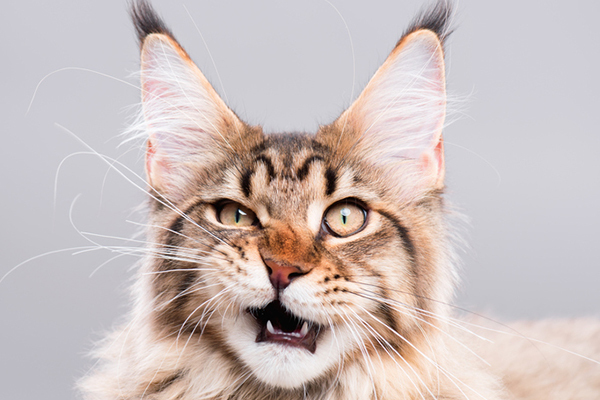 When a cat gets all in a catnip state of mind, it’s not uncommon to display the following symptoms: Bugged-out eyes, frantic rubbing and rolling around, a brief and hilarious sense of disorientation and bizarro meows. 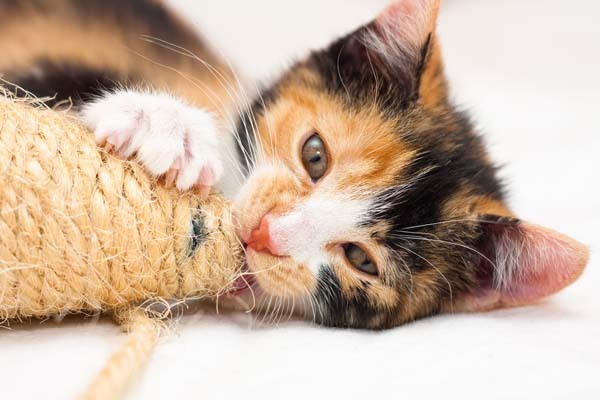 Can Your Cat Overdose on Catnip? So, what does catnip do to cats if they ingest a LOT of it? Can cats overdose on catnip? Not really. Catnip is natural — you can buy seeds to grow it yourself on your kitchen windowsill or in your backyard. So, all that will really happen if your kitty decides to break into the secret catnip stash is that she might end up puking a little of it back up. Oh, and maybe her poop will turn into rivers of diarrhea for a minute. But after that? She’ll be right back to normal. Think of the potential effects of a catnip binge as little more than the feline version of a particularly messy human hangover. 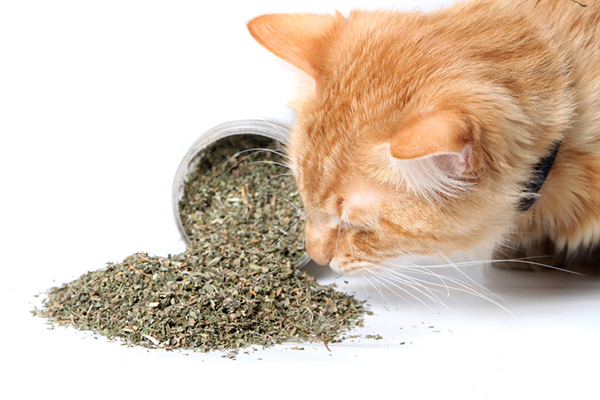 Tell us: What does catnip do to your cats? Do you have any hilarious stories about cats on catnip? Tell us in the comments! I’ve noticed…and maybe I’m just reading into things….that it seems like not all of my cats have had a reaction to catnip. Also, it seems like my younger cats aren’t as effected by it. I just gave my cat bootsy some catnip and all she wants to do is shred my carpet and her toys! She rolls a lot on the floor franticly and sniffs it a lot! Her eyes are the biggest eyes I have ever seen! Just gave my 6 mo old cat a good few wiffs of top shelf catnip (20 seconds) and she was extra playful for about 10min. She attacked my feet (not uncommon) and played with her favorite toy (also not uncommon, but I’m pretty sure she had a nice little buzz triggering her urge to play). The cats in the video look like they had WAY too much of the goods! I’d like to point out overdosing has nothing to do with whether or not something is natural. Overdosing is what happens when you take too much doses of something to the point your body can’t handle it. 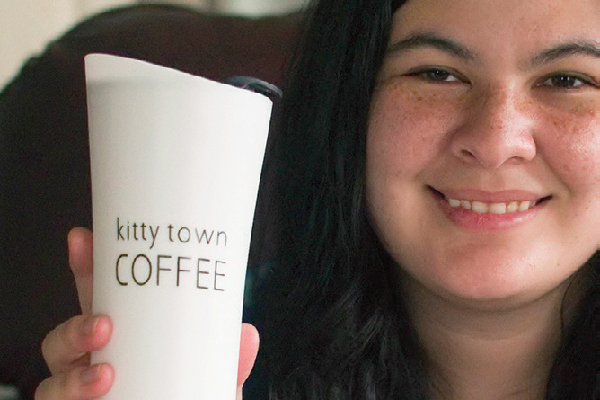 Like caffeine is natural and it is technically possible to overdose on it- but it’s unlikely because it’d take amounts of caffeine that would be huge. Three of my cats take a hedonistic pleasure in catnip. But. Calliope, my special needs tortie once got an indirect whiff of catnip SPRAY. She began yeowling bug-eyed, terrified. When the other cats approached her, she meowled in abject terror. I am sure she was hallucinating. However, she responded to my calming voice and touch and after an hour with me (other cats were put outside), she was back to goofy normal. I think I was equally traumatised by her reaction. Catnip has been placed on a firm embargo in my household ever since. My vet confirmed that a very small percentage of cats have what is equal to a bad LSD trip after exposure to the mind altering weed. Take care. Wow! That’s good to know. I’ve had cats that haven’t seemed to be effected by it, but I’ve never heard of this. Thanks for sharing that.